You can’t set your pace without finding your rhythm. It’s about dancing to the groove which suits you and breaking away from the noise surrounding all of us. 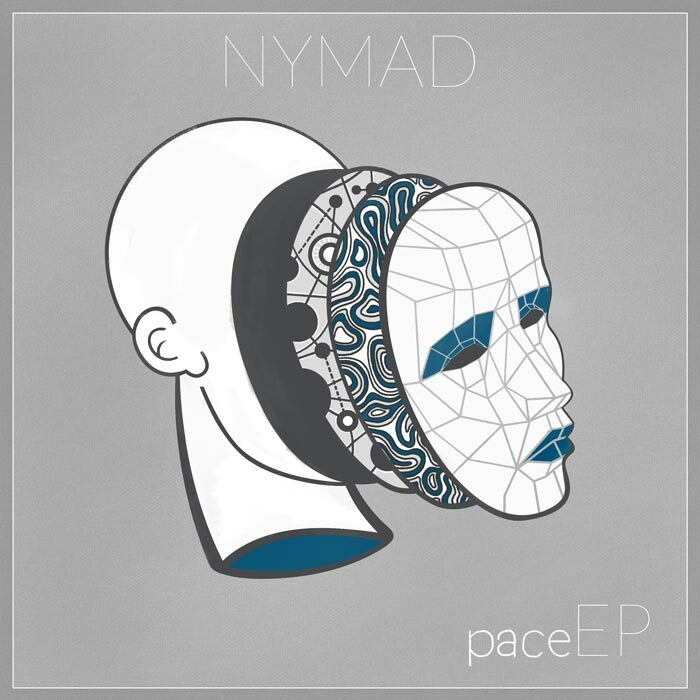 nymad’s latest release features his experiments with synthesizers and percussion instruments from around the globe, adding the flavour of life in latin America to the dynamic beats of the UK. Including a collaboration with friend and singer Jade Parker and featuring insightful artwork by Florin Mocanu, this EP yields sentiment, tranquility, and poise. From the start, drumming has been the backbone of my relationship with music, and as a drummer, watching Shigeto work is a marvel. His style ranges from hip-hop to jazz drumming, two genres which I’m a big fan of. As an artist, he’s also influenced me to create music which attempts to push the boundaries of sounding both organic and electronic, melancholic yet uplifting, calm yet lively. Lastly, his live shows are also inspiring, he doesn’t hold back and puts everything into the performance – which is a work ethic I aim to uphold. From around the ages of 18 to 20, I solidly listened to and made only drum & bass. It was a like a bug, and all of a sudden I became obsessed with the genre. Along with this, I started DJing, going out to raves, and making more music. After a while, a lot of releases started sounding the same, but when the autonomic podcasts came about, it was like a breath of fresh air. Here’s some music which takes from the drum&bass template, flips it, and the end result is something soothing, relaxed, and not specifically designed for the dance-floor – but it worked. I was really taken back by its originality, which was a unique turning point for me. I think festivals are almost an epitome of what music is all about. People celebrating, dancing, and coming together for a single cause – to have a good time. They’re such amazing experiences to share with friends, and you get to listen to a ton of new music – which is like creative fuel to me. The last two Bloc festivals were inspiring for several reasons: the people I was there with, the people I met, and the music I encountered. Those weekends have had a lasting effect on me, despite the fact that unfortunately Bloc. is no longer around. To me, music is all about the emotional response I get from it. For example, the warm sinking feeling I get when I listen to my favourites. The feeling of accomplishment I get when someone tells me they’ve had the same response when hearing my music. The feeling of elation I get when I find that new sound to use in my tracks. The rush and thrill of playing my music live. It’s personal, but I think that’s always been my purpose, it’s what I live for and why I make music. Essentially it’s who I am, and I’d like to share that with you.